Ceres Organic 5,500m2 building in Carbine Road, Mt Wellington has become the first building of its type in New Zealand to receive a Green Star rating. From the start, sustainability was the intended outcome for this project. The building has been positioned to make the most of natural light and passive solar heating. The project incorporated recycled materials from the former derelict building. The concrete construction provides excellent thermal mass allowing the inside to remain cool in the summer, and warm in the winter. For this project Intelligent Environments were required to work closely with the electrical engineer, the electrical contractor (T S Bishop) and Thorn Lighting. IEL were contracted to provide this green rated building with a suitable lighting control system. 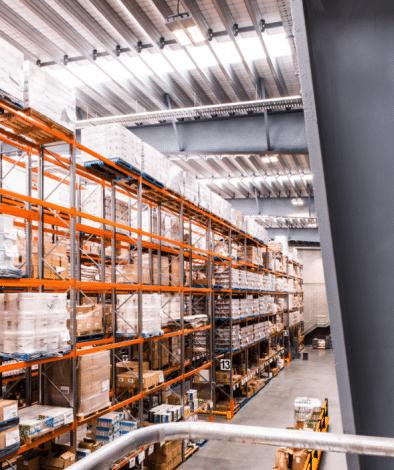 Included were daylight and occupancy controls in the warehouse, control of the external security lighting and signage, and control of the lighting in the open plan office areas with exposed ceilings. Excellent levels of natural light, allowed for artificial lighting to be minimised through the use of daylight harvesting. The use of energy efficient LED lighting coupled with the lighting control system, has assisted in minimising energy requirements for a building of this size. 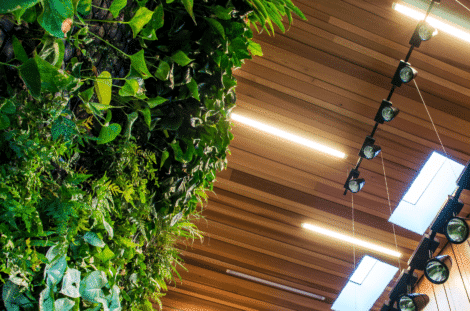 A green ‘living wall’ was also installed with controls to schedule the lighting for optimal growth requirements. Additionally, working with SENZ, and meeting EECA funding criteria, the client was able to access a rebate to assist with the installation of their lighting control project.